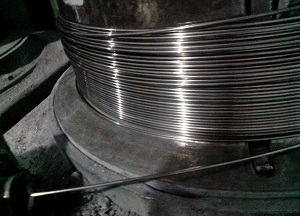 The Inconel 600 wire refers to an ASTM B166 UNS N06600 cold-worked wire which has uniform round cross section along its whole length, supplied in coil form. They can be further woven into wire mesh or wire cloth which are widely used for filter, conveyor belt, or heat-treatment furnace. 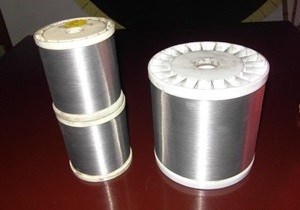 Inconel 600 wires are usually wrapped on a spool in different lengths. ASTM B166 Inconel 600 (UNS N06600) wires wrapped onto the spool. The cold drawing process for the manufacture of Inconel 600 wires. Generally, ASTM B166 UNS N06600 wires shall be fabricated by the following processes: Mid-frequency Vacuum Induction Furnace (or Electric Arc Furnace) → Electroslag Remelting → Forging → Rolling → Cold Drawing → Heat Treatment → Cleaning → Packaging & Storage. *All values shall be in weight percentage unit. *Properties are not applicable to wire after straightening or cutting.